Out of the Box Awakening is a story of shared passion and shared joy. 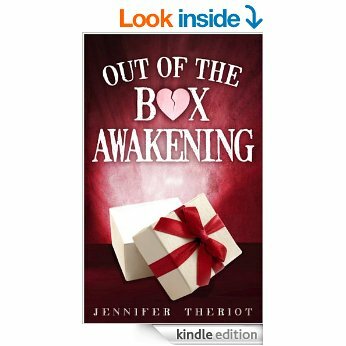 Jennifer Theriot has written a compelling book about what happens when two people find new life and new love for themselves and for those around them. What an absolutely wonderful book. I have laughed, cried, wanted to beat Olivia’ s Husband. Jennifer Theriot has a way of writing that makes you feel like you are there. Every Emotion the characters have you feel. This was a wonderfully written book. After 30 years of marriage Olivia’ s life was turned upside down. Luckily she had a wonderful support system that kept her from completely coming undone. My Heart broke for her because she was the type of person everyone should strive to be like. She had a heart of gold and truly loved unconditionally. Even after having her heart stomped on she still loved whole heartedly and was so forgiving. Once Ash came into her life, he was her rock. Ash was definitely an alpha male but charming, thoughtful, loving, supportive, respectful, fun as well as extremely protective. Ash wasn’t as easily won over, but once he let someone in he would fight for you till the end. I could go on and on about this Series and its characters. It was really an excellent read and definitely a book that I would recommend.